Your IP address appears to be in the USA. Due to territorial rights restrictions CXC Store is not available from the USA. If you are not based in the USA please click on contact us and we’ll help you get access to the CXC Store content as quickly as we can. Please accept our apologies for any inconvenience this may cause. 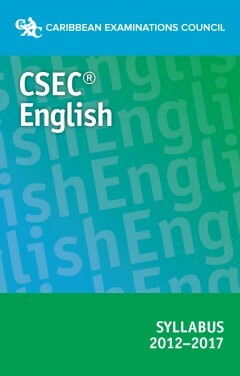 This eBook contains the official CSEC English syllabus effective for examinations until May-June 2017. Once downloaded, this eBook can be printed or saved to your chosen digital device. Register on CXC Store to keep up to date with our latest news. Springer Nature Limited is a company registered in England and Wales under Company Number: 785998 Registered office: The Campus, 4 Crinan Street, LONDON, N1 9XW, United Kingdom.